One of the most prominent models in change management is John P. Kotter’s eight-step framework. This covers developing and communicating visions, understanding key stakeholder needs, empowering employees and much more. Our program utilizes this model and integrates it into your own organization’s change strategy. The overall goal of the program is to apply the key steps to your specific issues, and consistently integrate into key business objectives and change initiatives. Our problem-solving program integrates techniques from the Harvard problem solving approach and Min Basadur’s renowned 8 step “Simplex” approach popularized in his book, ‘The Power of Innovation’. During this training we help participants apply the 8-step process to their organization, division or team challenges. In addition to this we consistently develop attendees understanding of ‘logical thinking’ techniques. Combining real experiences with expert theory such as Edward T Hall’s High v Low Context model and Geert Hofstede’s 7 Dimensions of Culture, our program helps develop a higher level of Cross Cultural Intelligence. Upon completion of the course participants will have a deeper understanding of differences in international business communication styles, improve awareness of own culture and resulting behaviors, and understand some of the key requirements needed for effective cross-cultural business communications. Emotional intelligence (EQ) is the ability to understand and manage your own emotions, and those of the people around you. A leader who has a high level of EQ can both manage and lead employees in a variety of situations. To develop both strategic and critical thinking skills our program introduces participants to the SOAR analysis tool. SOAR analysis is a strategic planning tool that helps an organization (or team) identify its strengths, opportunities and aspirations while developing its strategic goals. The workshop builds strategic thinking ability, develops momentum for goal setting, develops creative mindsets and unifies teams. To develop effective conflict management skills our program focuses on the two key areas of self-awareness and communication ability. To build self-awareness we utilize the Thomas-Kilmann Conflict Mode Instrument, which helps participants identify key strengths and gaps in their conflict management approaches. Utilizing innovative tools such as Hogan Insights and the Myers-Briggs Typology Indicators (MBTI) we help team members and leadership build a broader awareness of themselves and of the people around them, leading to significantly improved team environments, communications and relationships. 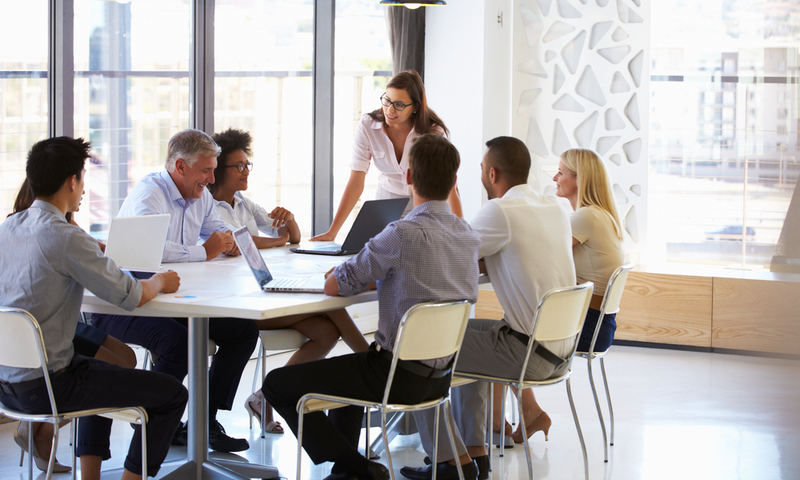 If you are forming a new team or trying to turnaround a poorly performing team we can help. This program creates an inclusive environment that involves team members in vision setting, road map strategies and value forming. This workshop also helps motivate, empower and energize all members by including them in the process. A good mentor guides and advises, rather than ordering and directing. Good mentors encourage mentees to discover their own path through careful counseling in regular meetings and communications. Our program looks at the benefits of mentoring, and the skills you need to be a good mentor. We also cover how to set up and manage an effective mentoring relationship. Assertiveness is actively influencing and persuading others to understand and accept our point of view in order to achieve a specific goal. In reality the above summary only touches the surface of what ‘assertiveness’ truly means. Our program breaks things down into smaller practical skills and behaviors, which include: listening to people, showing genuine interest, having confidence to share thoughts, constructively debating, giving feedback and learning how to reaching positive agreements. Many up-and-coming ambitious managers dream of becoming great leaders and executives one day. They have aspirations to make an impact, create a legacy, help society and build their organizations. One of the biggest challenges they face is making the leap from management to true executive level leadership. Our program targets these talented future generation leadership candidates. We help open minds and show them what an ‘Executive Mindset’ means. We help them see the ‘bigger picture’ while enabling them to identify strengths to build on, and bridge core gaps in behaviors, skills and attitudes. 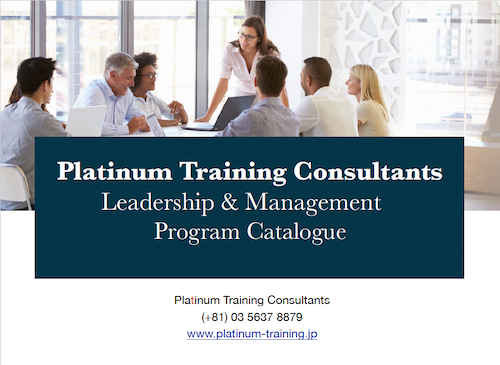 For information on any of the above and much more please contact us at Platinum Training Consultants. I met Paul at a time when I was struggling to bring together an international team of researchers with diverse views and backgrounds. As someone without a formal training in management, Paul helped me to develop the tools and insights needed to make our unit more cohesive. Paul has deep knowledge of the challenges that one can face in a variety of managerial contexts and an intuitive sense of how to help struggling managers like myself overcome some of the more intractable hurdles. Paul and Andy helped me through a difficult phase in my career. I was transitioning from Japan team leader to Global divisional leader and having difficulties with cultural differences, global strategic planning and general team building across continents. Paul and Andy introduced me to various concepts and strategies. Their supportive and creative mentoring style helped me make the step up and gave me renewed confidence and motivation. © 2018 Platinum Training Consultants K.K. All rights reserved.